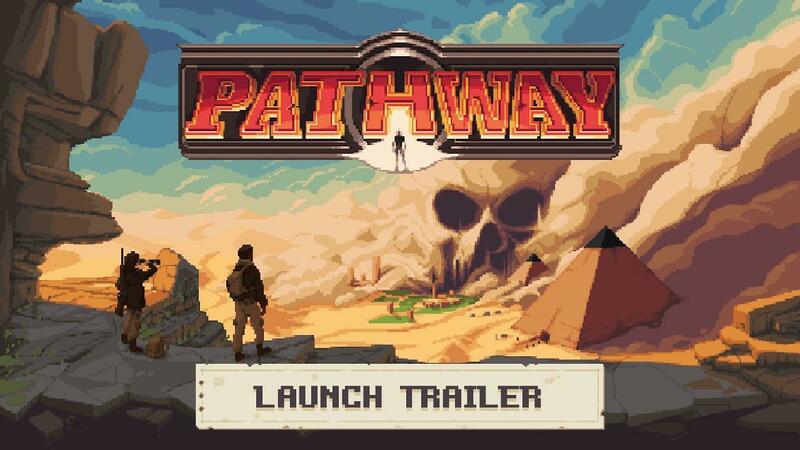 This is a rather lovely surprise, the adventure strategy RPG 'Pathway' from Robotality is releasing April 11th. As I wrote about before recently, it's going to include same-day Linux support. As a huge fan of strategy games that mix in interesting events, I'm very excited by this one. Especially since it will have five different campaigns, each of which is generated differently for every play-through. This isn't some permadeath game though, as they say your characters will be able to keep their experience when you're defeated. The graphical style is pretty unique too, while it's retro-inspired 16-bit pixel art it's using a "Pixel/Voxel Hybrid Technology" they claim gives "unprecedented depth, lighting and shadows". That's quite a bit of marketing talk there but damn, it sure does look good! For the launch they will have English, German and French support with Japanese and Chinese "coming soon". You can wishlist and follow it on GOG and Steam. I'm hoping to see a review key, so as usual I shall have thoughts up on it whenever possible. Gotta hate when they don't support the second most speaked language, spanish. I'll be waiting. Kiba Gotta hate when they don't support the second most speaked language, spanish. I'll be waiting. The Top 10 Most Spoken Languages in the World. This is going to be a day one purchase. Love the pixel art combined with the gorgeous lighting effects. Just like Halfway. But judging from the videos the combat seems more streamlined compared to Halfway, which I'd appreciate. Lol, hindustani has not that much speakers, there is lots of languages in India and most of them just use english. BTW, i was talking about mother language (i should specify), i know english but my mother language is spanish. Of course there is a lot of people that can play a game in english (it's my case) but i enjoy the games much more in spanish, and that game is translated to german and french. It's like games not being translated to chinese and russian but translated to some minoritarian language, i don't get it. In that "Hindustani" you're talking you are including the urdu from Pakistan, they don't even use the same characters. They probably meant Hindi, which is the most widely spoken language in India by a wide margin. English is a distant second in total number of speakers, but only a measly 0.02% of the population speak it as their first language. Source.